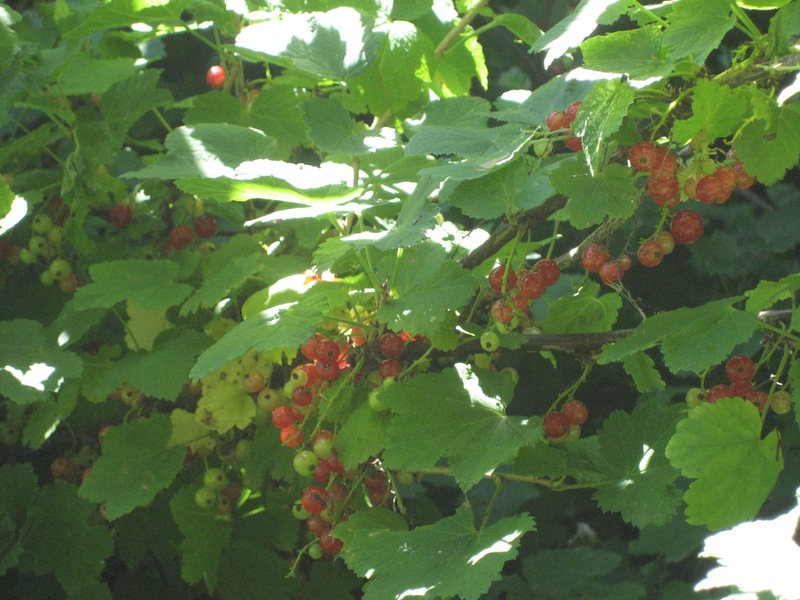 You may wonder what happened to those red currants? I did manage to save some from the birds. It was a lot of work to pick even a few. It took quite a bit of stretching and bending to find this many on the underside of the bush where birds could not find them. Then the sorting , stemming and washing. Some recipes said you could leave the stems, but I didn’t. 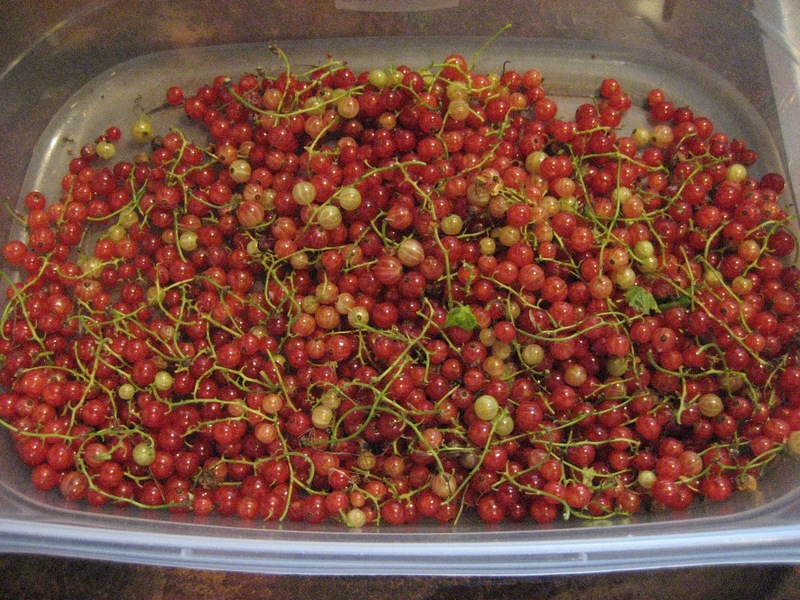 Really only about 2 cups of currants which made …..
exactly one jar of jelly! This is being saved for a special occasion! Thanks to our weird spring weather I didn’t have any raspberries or blackberries, I hope they do better next year! 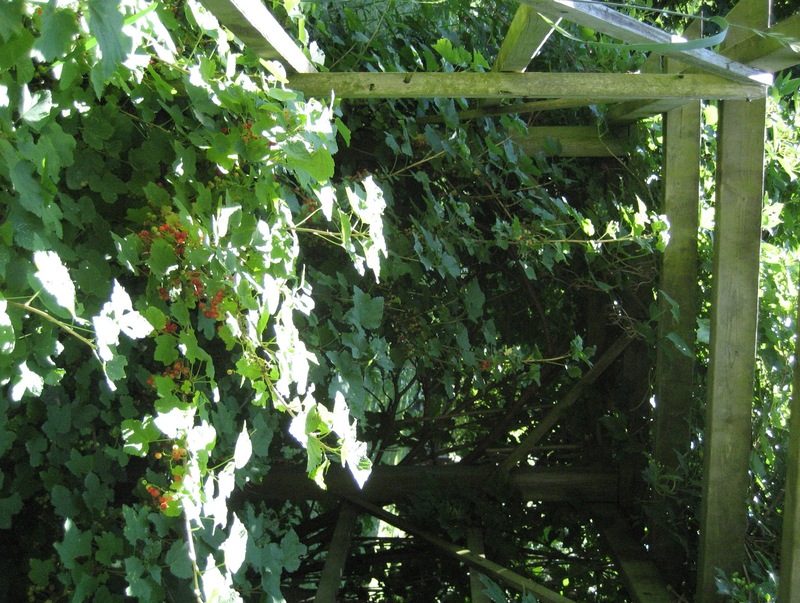 But I did purchase some local raspberries and made some lovely jam from those. Mmmmmm This is eaten for breakfast most days. 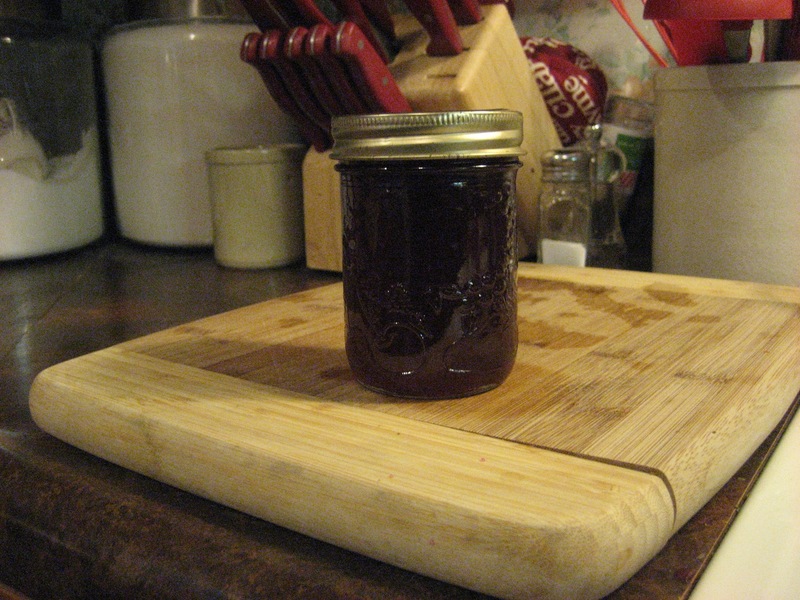 I have not made peach jam in many years but tried it again. Now I remember why I gave up making it. It won’t set for me. The flavour is good so I am going to use the slightly runny peach “sauce” in tarts and muffins. But the fresh peaches, they were yummy! 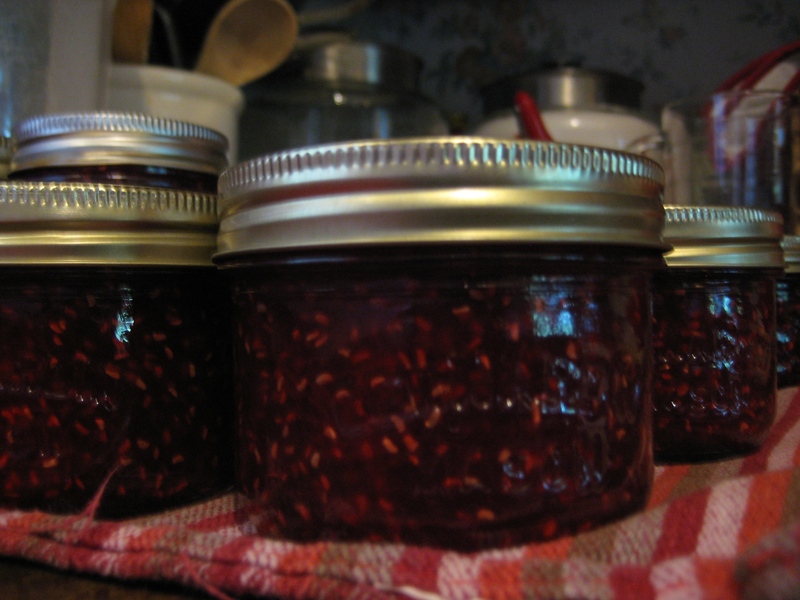 Your raspberry jam looks great, makes me want to make some too. 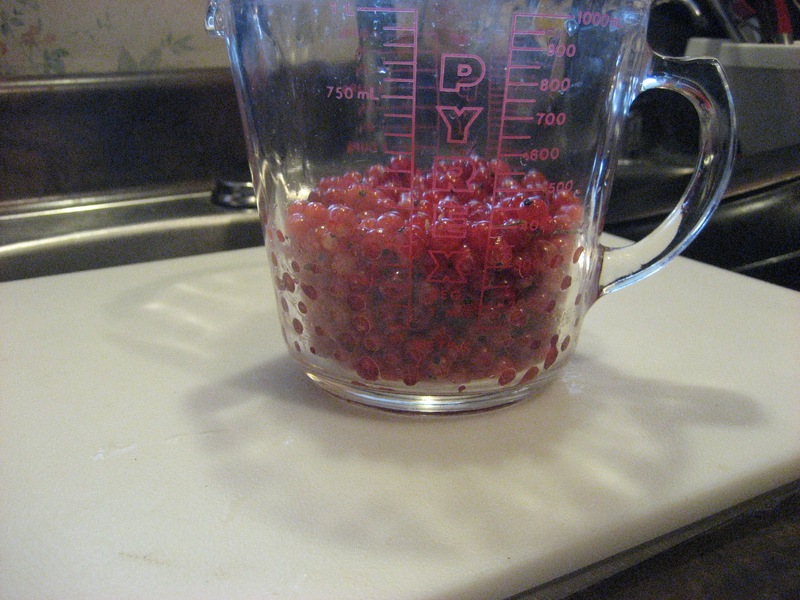 But all that work to get 1 jar of currant jelly? ?I think that’s funny. Yum. 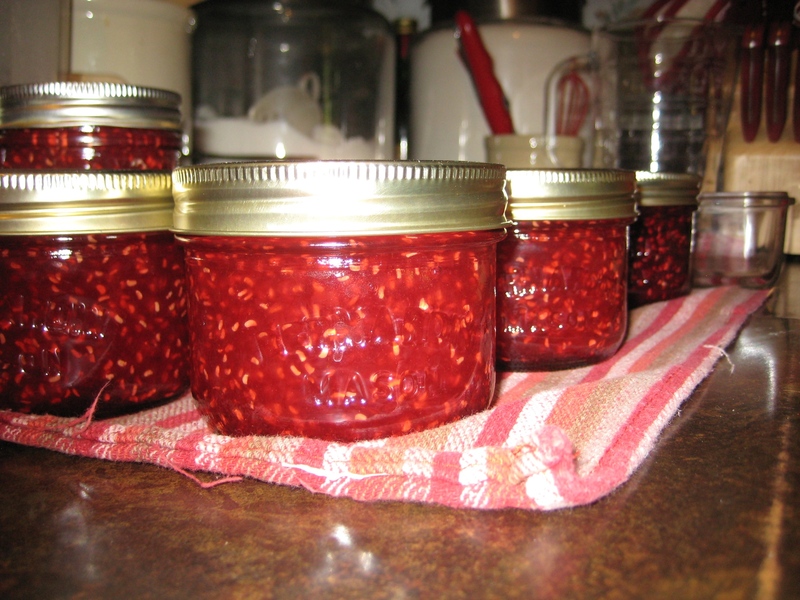 My gran used to make her own jam and I always loved visiting her. Not just for the jam. : ) I also remember her peach tree and her fabulous peach pies. Yikes! Now I’m getting hungry. Thanks Robena. I think I will stick to peach pies from now on, I have more success with them!